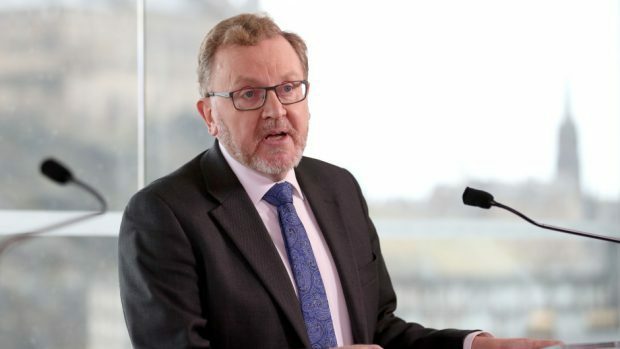 David Mundell has claimed Scottish ministers asked the UK Government not to publish its response to the proposed separate plan on Brexit for Scotland. The Scottish secretary made the remark in the Commons yesterday when replying to a question from SNP MP Deidre Brock. She asked him what “personal action” he had taken to convince the prime minister to consider the views of the people of Scotland and for an “explanation for why he failed”. Mr Mundell said he had been clear the Scotland’s Place in Europe paper – which set out the Scottish Government’s proposals for mitigating Brexit’s impact on Scotland – did play an “important part in the government’s thinking”. But he added: “Just so that the hecklers on the opposition benches are clear, the government formally responded to the Scottish Government in relation to Scotland’s place in Europe. A spokesman for Scotland’s Brexit Minister Mike Russell branded the claim “bizarre”, adding: “The UK Government is free to publish whatever it wants. “If Mr Mundell is referring to a recent letter from David Davis, then it is the UK Government which has indicated it may try to block its publication in response to a freedom of information request.